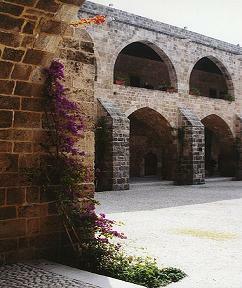 The khan el Franj is one of the many khans or caravansaries built by Fakhreddine II for merchants and goods. This is a typical khan with a large rectangular courtyard and a central fountain surrounded by covered galleries. The center of economic activity for the city in the 19th century, the khan also housed the French consulate. Today it is being renovated to serve as Sidon’s cultural center.